This blog is a repost of an interview with the First Responder Network Authority’s (FirstNet Authority) Senior Fire Services Advisor Mike Worrell. The article was originally published on TheBigRedGuide.com on March 15, 2019. In response, Congress established (in 2012) the independent First Responder Network Authority (FirstNet) to deliver a nationwide broadband network dedicated to public safety. AT&T was later chosen as the private company tasked over 25 years with building out the network. This month marks the first full year of FirstNet deployment, and expansion is ahead of schedule, according to Mike Worrell, FirstNet’s Senior Fire Services Advisor. The next few years will see improvements in FirstNet coverage in both urban and non-urban areas, he says. This has already begun with LTE coverage for FirstNet increasing by more than 50,000 square miles nationwide in 2018; network contractor AT&T achieved this by deploying FirstNet’s Band 14 spectrum in more than 500 markets. 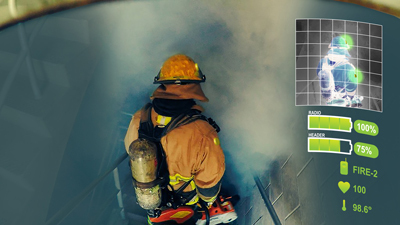 This increases coverage and capacity for the more than 5,250 public safety agencies using over 425,000 connections on FirstNet today. “We are now one year into a five-year build-out plan for FirstNet,” says Worrell. “We are pleased with the progress, but there is much more work to do, and we look forward to continuing to move quickly for public safety. Even after the five-year plan is met, we will continue to evolve this network to meet public safety’s needs over the course of our 25-year contract with AT&T.” TheBigRedGuide.com contacted Worrell for more information on FirstNet and its benefits for the U.S. fire service. To read the full interview and learn more about how the FirstNet Authority is supporting the fire service community, click here.